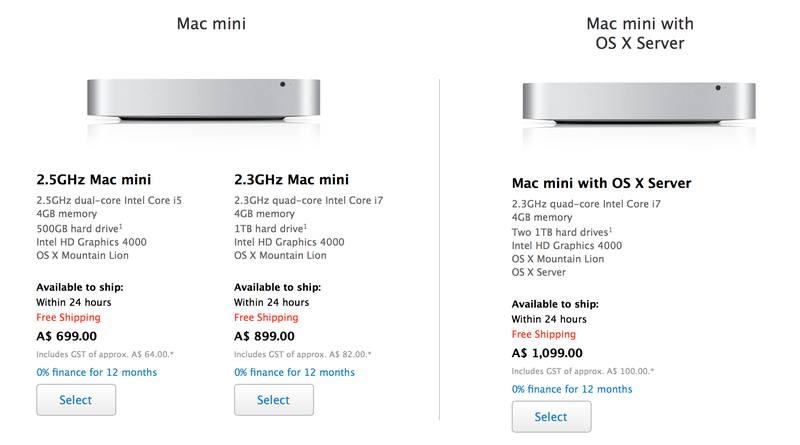 Alongside the new iMacs, Apple has silently raised the prices of all Mac mini models in both Australia and Brazil. In Australia, the prices were formerly A$699 and A$899 for the standard configurations, and the Mac mini Server model was priced at A$ 1,099.00. Now, the machines are priced at A$749, A$999, and A$1249, respectively. 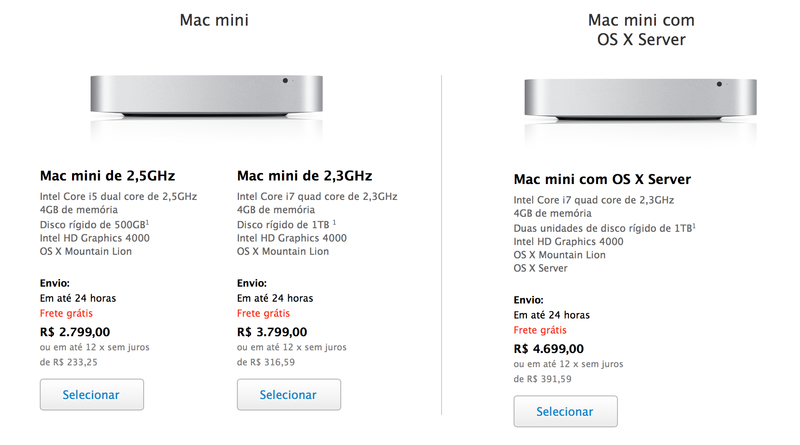 The prices for the Mac mini have also been raised in Portugal and Malaysia, multiple tipsters have noticed. These are notable price increases, but it is unclear if there is reasoning for the change beyond standard currency fluctuations. The iMacs pricing was also tweaked when it was updated yesterday, but the Mac mini has not been altered. No other Mac prices in Australia nor Brazil have changed. The Mac mini is presumably due for a hardware update with 802.11ac WiFi, new Fusion Drive options, and Haswell processors to match the new iMacs. Thanks, James and Joao!